FORM2000 provides a range of welding units of varying capacity to handle materials as low as 0.45mm, up to 12.7mm plate. 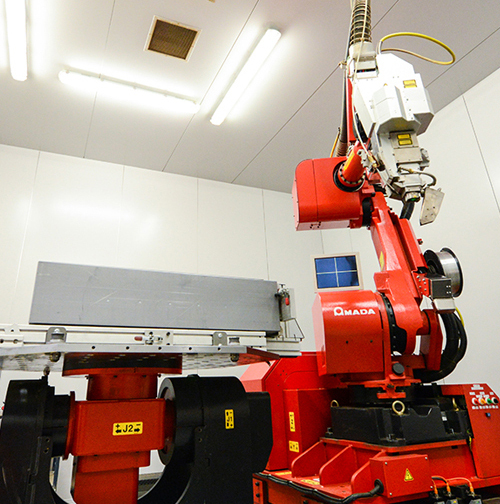 Central to our welding capacity, FORM2000 has heavily invested in the latest automated fibre laser welding technology for sheet metal manufacturing from leading machinery supplier, AMADA, to offer our customers increased design flexibility and welding capability. Increased welding speeds and reduced welding cycle time. Less finishing work required given the precision process. Heat input into the material is minimised and results in precisely defined weld edges. Handling of an increased range of materials previously unable to handle, including reflective material such as brass and copper. Simulated process modelling through programming offline using a dedicated CAM software. Ability to enable work at different welding levels – even at large thickness – due to unique auto focal adjustment. A further unique feature of the FORM2000 system is the inclusion of a manual hand working station to enable hand fixing operations where required, to provide further design flexibility for a unique sheet metal solution. The system also includes an integrated, height-adjustable, tilt and turn table.